A pretty market town, mentioned in the Domesday book. 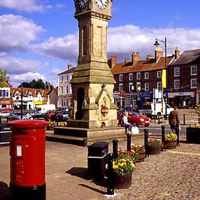 Here you can sample the specialist shops, quality inns and restaurants in Thirsk’s traditional and unspoilt centre. The World of James Herriot’ is well worth a visit, as is Thirsk Museum. 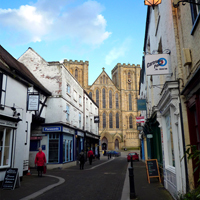 Founded over 1300 years ago, Ripon is famous as an ancient cathedral city where monasteries have stood since the 7th Century. 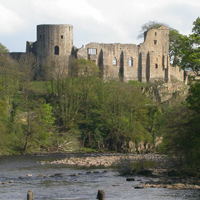 An inspiration for Turner and Dickens, Barnard Castle in County Durham has long since been an important local landmark.